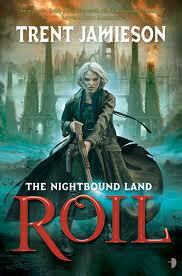 Roil is the first book of the The Nightbound Land duology (Angry Robot) by Brisbane author Trent Jamieson, and it’s fabulous — in more than one meaning of the word. Trent’s always had a way with words — in all fairness, his debut series, The Business of Death — didn’t do him justice. It was a different style, quick and spare to match that corporate clickety-click of deeds done darkly. Roil is sumptuous, taking me back to some of his short fiction I remember fondly (that reading in Toowong cemetery? priceless; ditto Wordpool, ah); from its prose to its world building, you can sink into Roil in near perfect comfort. In this fantasy world, a vast bank of preying darkness is creeping north to devour the few remaining human cities. A cruelly prgamatic mayor plots how to save his people; an Old Man is unleashed to try to stave off the inevitable, no matter the cost; a young drug-addled man and militant woman are caught up in the plots and violence. Our hero, David, while addled, is capable, and has some surprises in store as Old Man Cadell takes him, however grudgingly, under his wing. Heroine Margaret is ruled by vengeance and packs a mean ice pistol. The support cast is well drawn but add to the edginess — Trent doesn’t shirk in the dispatch department. He also handles horror tropes beautifully, whether it be zombies — both Haitian and Romero varieties — or the vampire-like Old Men, dragons, hellhounds and other fabulous members of his imaginative bestiary. Likewise, the technology melds the best of steampunk, akin to Scott Westerfeld style, with living airships and jet-powered fighter planes, lasers and cool swords, steam trains, magic and mechanisations blended to produce icy weaponry and devastating weapons of destruction. This is society on the edge of destruction and pragmatism rules. Has their industrial complex triggered this quasi environmental calamity? Each chapter is introduced by an extract from a text — historical, autobiographical — lending the book a sense of timeliness, contrasting real events with recorded ones. For someone familiar with the Brisbane writing scene, some of the names of places and historians spark a grin, too. The prose slips from omniscient reportage to intimate point of view, and it’s here on the nitty gritty level that there’s ash in the eye. Not much, but enough to cause the occasional blink. Angry Robot really does need to clean up its act in the proofing department — it’s not doing its writers nor its readers any favours with such shoddy work. Inconsistencies abound, in: line spacing to indicate a change of point of view within the scene; italics for direct thoughts; capitalisation; the spelling of focussed. No text is without its typos, and there are a couple of missing words; but the repeated old brought/bought blunder? haphazard punctuation and run-on sentences…? This book, thankfully, more than overcomes these typographical quibbles. How fortunate that it’s taken me so long to get to Roil that the second and final book, Night’s Engines, is out now! Salvage launches on June 8! The time has been confirmed! 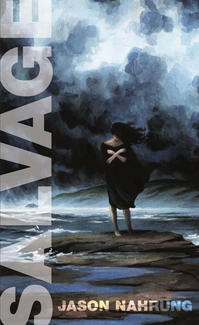 Salvage will join the Twelfth Planet Press flotilla being celebrated in Melbourne at Continuum at 7pm on Friday 8 June. And the good news: the convention is entry by gold coin donation on Friday. Also on the hot release list: Kaaron Warren’s Through Splintered Walls and Margo Lanagan’s Cracklescape, two of the latest Twelve Planets series by Aussie women writers. Twelfth Planet is a dynamic press with a real commitment to quality: it’s a pleasure to be working with them on Salvage. Come join us: there will be books and there will be … cupcakes! You can read more about Continuum here! Meanwhile, I’m down for four panels — Australian settings, vampires, awards, e-publishing — a reading and an ‘in conversation’ with Aussie guest of honour Alison Goodman. Other launches to keep an eye out for: fellow TPP author Narrelle M Harris’s sequel to The Opposite of Life (I’m launching Walking Shadows, published by Clan Destine Press, on the Friday night — busy and wonderful! ), a belated Ishtar party, Felicity Dowker’s collection and an ASIM 10th birthday party bash. It’s also pleasing to see time set aside to remember our recently lost Paul Haines and Sara Douglass. If that wasn’t enough, Kelly Link is international guest of honour, and Lucy Sussex gets to practise for her guest turn at next year’s Swancon by being an invited guest this year. It’s gonna be HUGE. A gorgeous cover and a splendid table of contests, a real feast of Aussie writers working in fantasy and horror: and me! 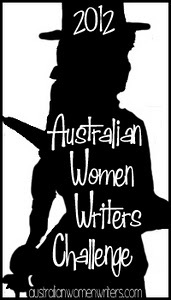 I am so thrilled that ‘Wraiths’, from Winds of Change, made the fantasy list of Ticonderoga’s Year’s Best Australian Fantasy and Horror 2011 (now available to order), edited by Talie Helene and Liz Grzyb. Well done, all; what splendid company to be keeping — my wife included: here, look for yourself! 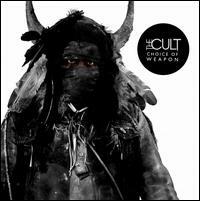 The new album from The Cult, Choice of Weapon, is now on repeat in the office. It rocks. Oh my, how it rocks. Ian Astbury and Billy Duffy have embraced their rock ‘n’ roll roots (even riffing off ‘She Sells Sanctuary‘) and delivered a punchy 10-track album. I haven’t had time to dissect it properly — lyrically, there’s plenty of the usual spiritualism and imagery, and I suspect some reflection on the shadowy side of celebrity and society — but it sure does chug along. The rhythm section is massive and Astbury gives his all on vocals. Adding to the shiny is the packaging of the two-disc version: it’s a wee hardcover book packing an extra disc with four previously released EP tracks — absolutely brilliant presentation that makes the album a splendid artifact with lyrics and artwork. Allmusic.com said ‘Choice of Weapon is the Cult’s finest moment in 23 years’ — read the full four-star review — and as much as I enjoyed Born Into This, it’s hard to disagree if it’s four-on-the-floor you’re after. The track ‘Lucifer’ is currently available at the band’s website as a free download. Truly tempting! This is the seventh book I’m reading as part of my list of 10 for the Australian Women Writers 2012 National Year of Reading Challenge. 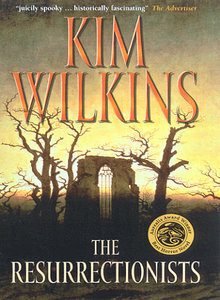 THIS is the third novel by Brisbane’s Kim Wilkins, one I’ve criminally and unaccountably not read until now. It’s interesting to look back at this, seeing how accomplished she was even back then: the prose is fairly tight, the narrative spot on, the characters engaging. The story is told in two time lines, one in 1790s England and the other contemporary. In the past, a pair of daring lovers move into a cottage in a village near, and modelled on, it would appear, Whitby, there to encounter some seriously unnatural goings on in the suitably Gothic basement of the church. In the modern era, Aussie cellist Maisie Fielding journeys to the same cottage in the wake of her grandmother’s death, to find that those goings on are still, ahem, going on. The setting lends itself wonderfully to the creeping dread: coastal storms, winter snow and isolation, and a village that keeps its secrets close and viciously guarded. Maisie is going through a rough time personally, filled with doubt about her relationship with her opera singer lover Adrian, at sixes and sevens with her overbearing mother and ineffectual father; a few months sifting through her grandmother’s life — a life she never got to know, her mother and grandmother not having got on — seems like just the ticket for getting her head straight. But there’s the diary left by Georgette, and there’s her grandmother’s legacy, the attractive gypsy boy down the road and the not small matter of Maisie’s hidden psychic power to contend with. This is no simple holiday … especially when the spooky strangers come a’knocking and Maisie is left to feel very unwelcome indeed. 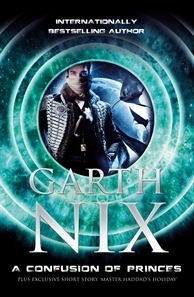 Told from several points of view, the Aurealis Award-winning story is a compelling jigsaw: Georgette sets the scene, Adrian adds domestic pressure, the unlikely villain offers tension as plans collide … and it all comes together as Maisie faces both her past and her future against a very old magic indeed. While there are a couple of niggling elements in the plot — the way in which Georgette’s diary is compiled, the absence of a possible ally — they are more than overshadowed by the bold denouement that makes this a truly memorable read. It’s getting real now! My seaside Gothic Salvage is on its way, and to mark its launch in June, Twelfth Planet Press is giving away three copies at Goodreads! The details are HERE. Entries close on June 15. Good luck, and thanks for your interest!